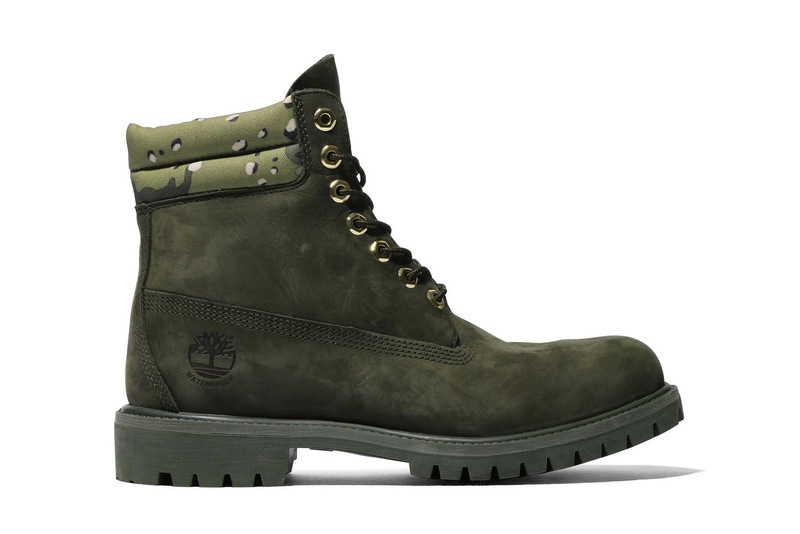 Timberland and Kinetics partner for a limited edition version of the 6-Inch Boot in olive. The boot sports a tonal olive look, from the rubber sole to the suede upper, while the collar is executed in camouflage. The Kinetics x Timberland 6-Inch Boot drops Nov. 5 online.